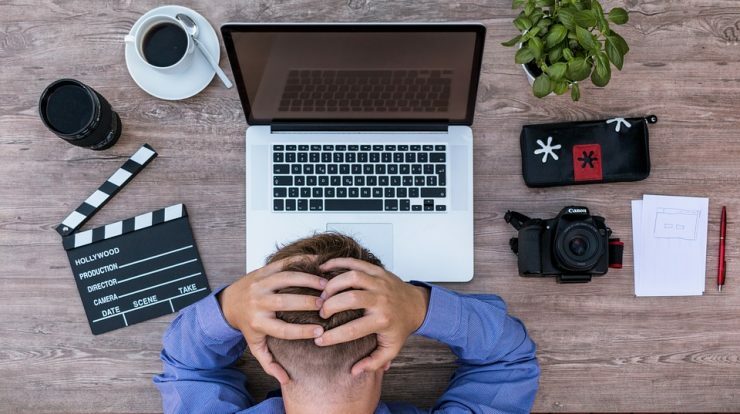 Are you making money from YouTube Channel?, then this post is for you. Google recently has announced changes to its monetization policy on YouTube. For more updates and information, please read the below article. The new policy will impact all small channel having less than thousand subscribers and four thousand watch hours. According to new updated policy, if your channel does not meet these new requirements then you will be not eligible to monetize your videos. Minimum 4000 watch hours to your channel in last 12 months. These both the requirements are mandatory not optional. You needs to full fills both requirements to make money from YouTube Channel. In the above image you will find that though the said channel has more than 1000 subscribers, it is still not eligible for making money from its videos. 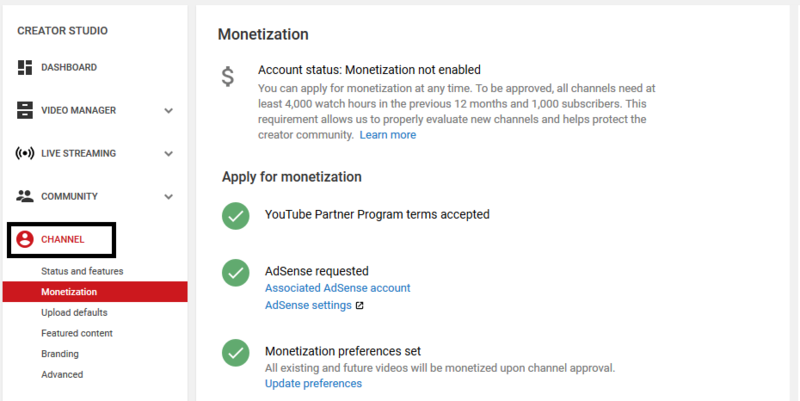 How To Check Eligibility for YouTube Monetization? Follow below steps to check eligibility of your YouTube Videos for the monetization. Select ‘Monetization‘ option under ‘Channel‘, from left navigational menu. That’s it. You will find the monetization status in the middle of the screen ( as shown in the above images). In most of the cases then ‘Monetization preferences set’ is set to disabled by default. If it is not enabled then enable the same to check the eligibility status. At last, this new policy will impact both current as well as the new partners. 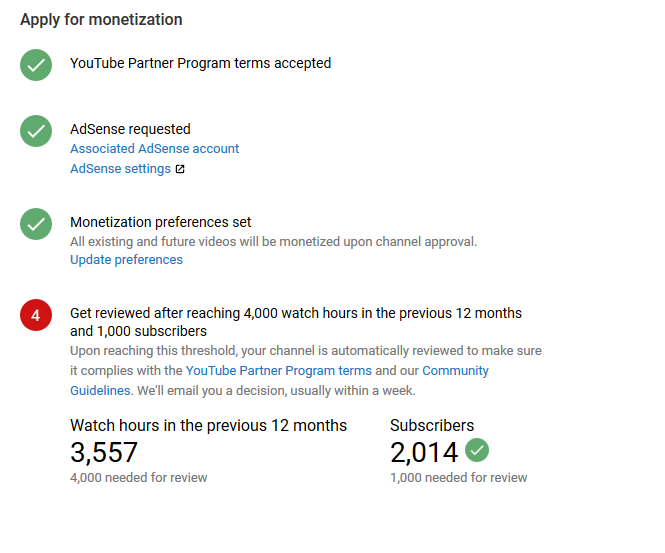 If you’re already a member of the YouTube Partner Program then henceforth you will not able to monetize your videos. Further, all the new application are currently kept on hold. As per YouTube it will be reviewed in the next few weeks, so look out for an email update around then. Below you will find the official notification for the same. Once you reached the required requirements, your channel is automatically reviewed to make sure it complies with the YouTube Partner Program terms and our Community Guidelines. Now your turn. What do you think about these changes? Please do not forget to share your feedback in the below comment box.